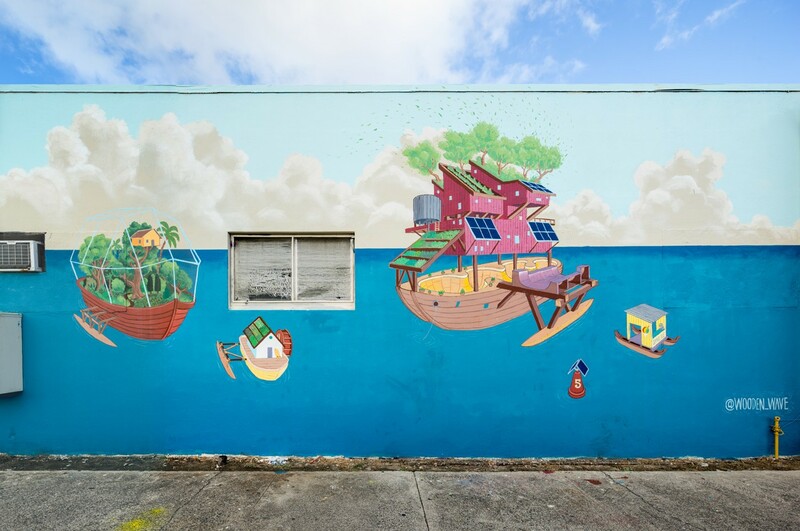 Mural created by Matthew and Roxanne Ortiz of Wooden Wave for POW! WOW! Hawaii 2015.